Randi Busse (Bus-ee) is a Customer Service Speaker, Trainer and Author of "Turning Rants Into Raves: Turn Your Customers On Before They Turn On YOU!" She is the President of Workforce Development Group, Inc., a training and development organization that specializes in improving the customer experience, increasing customer retention, maximizing revenue and creating a culture of ownership among employees. 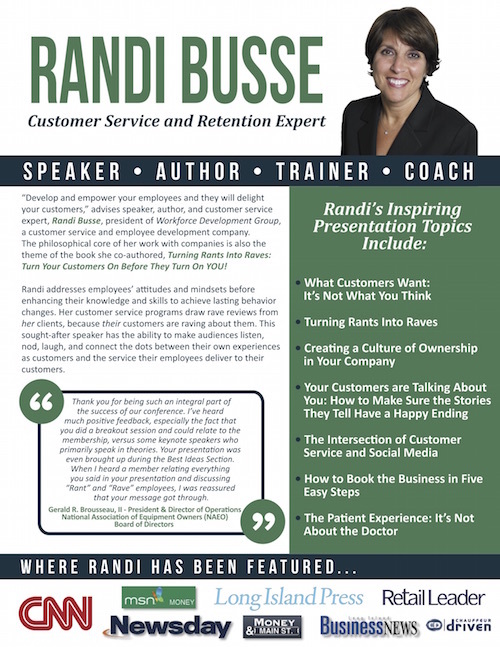 Randi is a dynamic speaker with the ability to make audiences listen, nod, laugh … and connect the dots between their own experiences as a customer and how their behaviors and the way their employees treat customers affects their bottom line. Randi Busse is the Founder and President of Workforce Development Group, Inc., a training and development organization that specializes in improving the customer experience, increasing customer retention, maximizing revenue and creating a culture of ownership among employees. 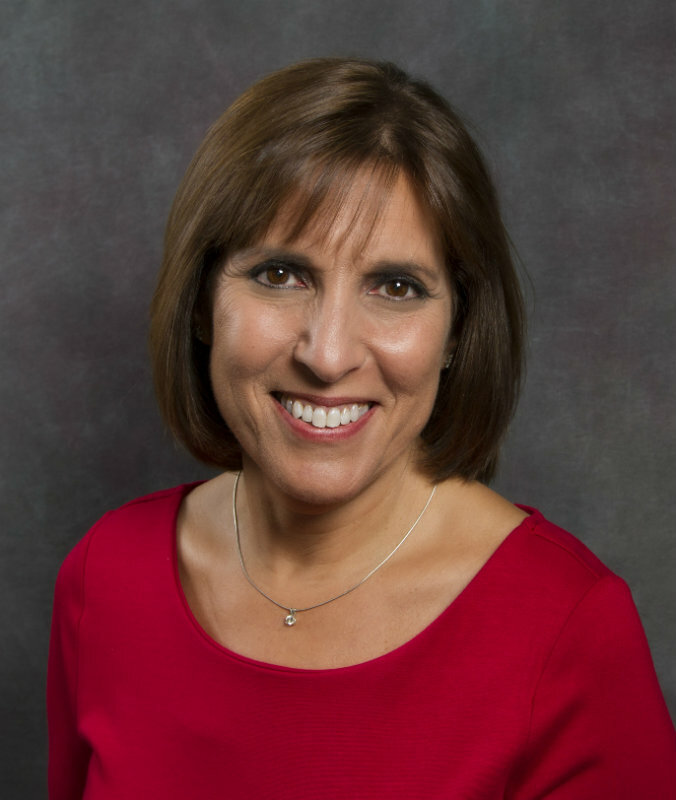 She is regularly called upon by the media to share her expertise, and she has been quoted and published in Newsday, the Long Island Business News and several trade publications. She has also appeared on television and radio, most recently on FIOS TV. Randi is the co-author of "Turning Rants Into Raves: Turn Your Customers On Before They Turn On YOU!" written for CEOs, business owners and managers that want to improve the experience they are providing to their customers. Randi is a dynamic speaker with the ability to make audiences listen, nod, laugh, and connect the dots between their own experiences as a customer and how their behaviors and the way their employees treat customers affects their bottom line. This sheet provides a thorough summary of Randi's experience and expertise, and the types of programs she delivers.